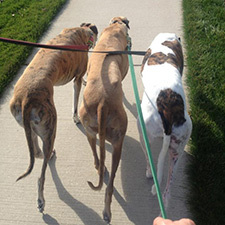 GPA-WI relies on greyhound-savvy homes to act as temporary foster homes to help ex-racers learn about life in a home while awaiting adoption. Contact the GPA-WI foster home coordinator at fostercoordinator@gpawisconsin.org. Download the foster home manual.